AMAS Lecture: "SyrianamericanA: A Nation-State of Mind"
From the jasmine tree-lined courtyards of Nizar Qabbani's Damascene homes to the flooded riverbanks of Langston Hughes' Harlem Renaissance poems, this unique performance-lecture is equal parts presentation / conversation. 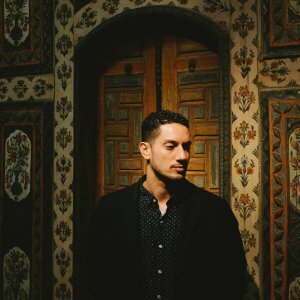 With a decade-long artistic journey that has both paralleled the rise of social media & borne witness to major sociopolitical shifts in Syria, Omar Offendum discusses how he's been able to develop a special blend of Hip-Hop & Arabic poetry to bridge cultural divides. Omar Offendum is a Syrian-American rapper / poet living in Los Angeles. Known for his unique blend of Hip-Hop & Arabic poetry, he’s been featured on prominent world news outlets, lectured at a number of prestigious academic institutions, collaborated with major museums & cultural organizations, and helped raise millions of dollars for various humanitarian relief groups. A graduate of the University of Virginia’s School of Architecture, he’s been able to carve a distinct path for himself as a thoughtful entertainer / activist able to speak to a multitude of relevant issues & diverse global audiences over the course of his decade-long career. Offendum was recently named a Kennedy Center Citizen Artist Fellow for 2018-2019.